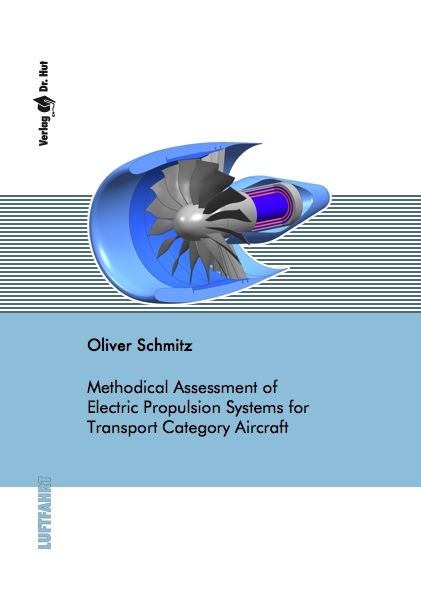 This thesis presents a new methodical approach to assess novel, in particular, hybrid and entire electric aero-propulsion systems for transport category aircraft featuring different on-board primary energy sources. Thereby, the research focus of this thesis lies on enabling a rapid, consistent and reliable assessment of future technologies with very low technology readiness levels, i.e. with entry-into-service dates far beyond today. Currently, advanced technology concepts for aviation, such as electric propulsion systems (EPSs) for transport aircraft, are increasingly proposed as potential enabler for environmentally friendly air transportation. However, comprehensive literature research, which has been continuously conducted as part of the herein presented scientific work, clearly exhibited a lack of consistent and reliable demonstrations of the true potential, notably, of electric aircraft featuring EPSs. In the present context, the determination of the true potential refers to a consistent comparison of different systems of the same technology level, i.e. a technologically aligned comparison of EPSs against conventional but evolutionarily developed aero-engines, both with the same entry-into-service date. The approach presented in this thesis features a technology level-dependent probabilistic top-down design procedure enabling a rapid and reliable analysis of future technology scenarios at an early stage during the pre-conceptual design process. In order to provide a consistent and comparable evaluation of the true potential of different propulsion system architectures featuring several energy sources, the methodical approach encompasses the complete application-specific energy cycle. Accordingly, propulsion system architectures are not only analysed in detail on system-level but also under consideration of both the aircraft system design and, beyond, the energy-specific emission production process from well to wake.